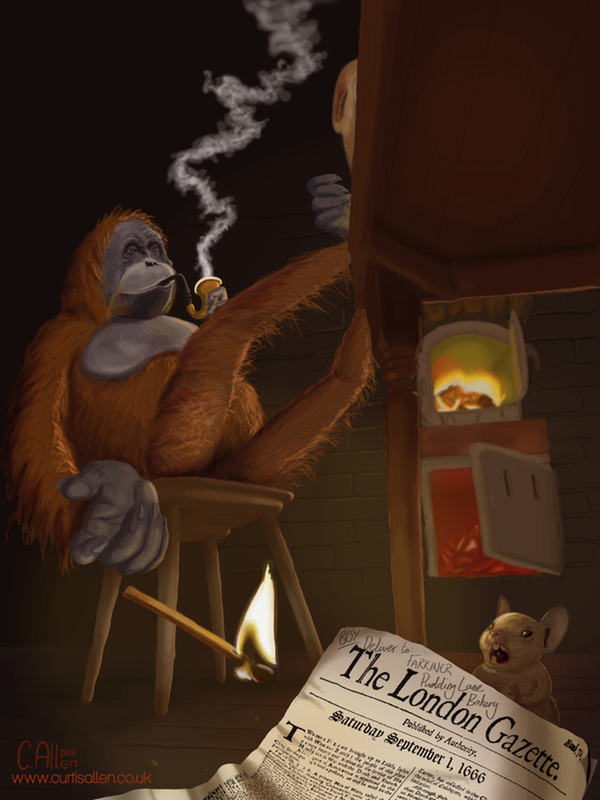 Professor Elemental's orangutan butler, Geoffrey, WAS missing... lost in time and space but I've tracked him down! Oddly enough, he's in Thomas Farriner's bakery in London, just after midnight on September 2nd 1666! See here for the stages of development of this piece.